Lollypop Farm – The Humane Society of Greater Rochester is a unique destination for all animal lovers. In addition to visiting specifically for adoptions or services, dogs are welcome inside the building, on the Farm Walk (to see farm animals!) and along the nature trails on campus. Lollypop is directly adjacent to Egypt Park and the Trolley Bed Trail - both great places to walk dogs! Lakeside Dog Park – Located in Emerson Park on Owasco Lake, this dog park is free and open to the public from dawn to dusk all year-round. The park is home to two sections (“All Dogs” and “Small Dogs”) and a doggy playground with tunnels and agility equipment that will keep your pooch active. Long Point, Fillmore Glen and Fair Haven Beach State Parks – Fido is sure to enjoy the hiking trails and spectacular views of Cayuga County State Parks. Dogs are welcome at all of the parks as long as they are leashed and have a veterinarian’s certificate as proof of rabies vaccination. Ithaca Dog Park – The large park is located next to Allan H. Treman State Marine Park at the base of Cayuga Lake. 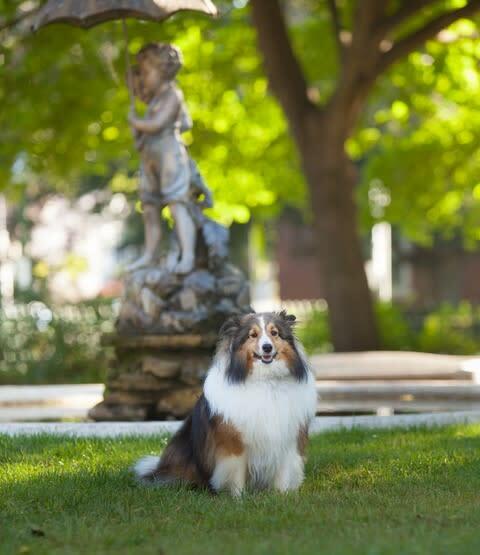 With child-sized swimming pools and access to the water from the park, your pup will be doggy paddling all day long! For more hiking trails around Ithaca, visit https://ithacatrails.org/. 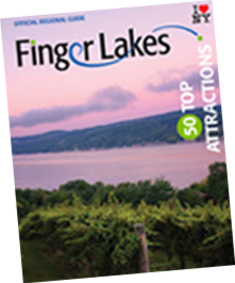 The Finger Lakes Trail – This footpath crosses through Livingston, Steuben, Schuyler, Tompkins and Cortland County. It&apos;s dog-friendly but leashes are required. 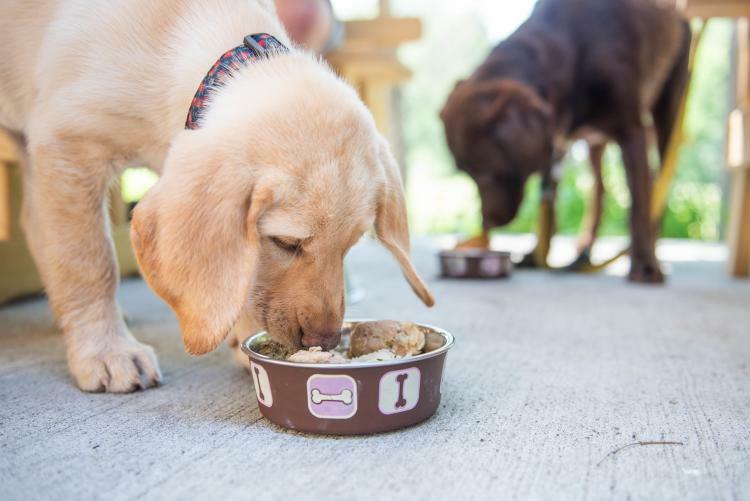 Brindlehaus Brewery – Brindlehaus prides itself in being a place “where one feels like home,” so it’s no surprise that this brewery welcomes four-legged friends into their tasting room. There’s even a dog in their logo! Three Huskies Brewing – Named after three pups in a pack, this brew-pub is tucked inside a sports bar and offers paw flight tastings of their rotating selection. In the summer, their wrap-around patio is the perfect spot to enjoy a meal and beer with your pooch. Bully Hill Vineyards – Calling all good boys, well-behaved pups are allowed in this tasting room! Or grab a bite to eat with your pet outside on the brick patio. Steuben Brewing – With wonderful views of Keuka Lake and tasty brews, both you and your furry friend will enjoy this craft brewery, part of the Craft Your Adventure Trail. Purity Ice Cream - Their "pup cup" has a scoop of vanilla ice cream topped with a Scooby Snack biscuit. The perfect way to cool down a hot dog! Bonus: The entire Cayuga Lake Wine Trail is pet-friendly! 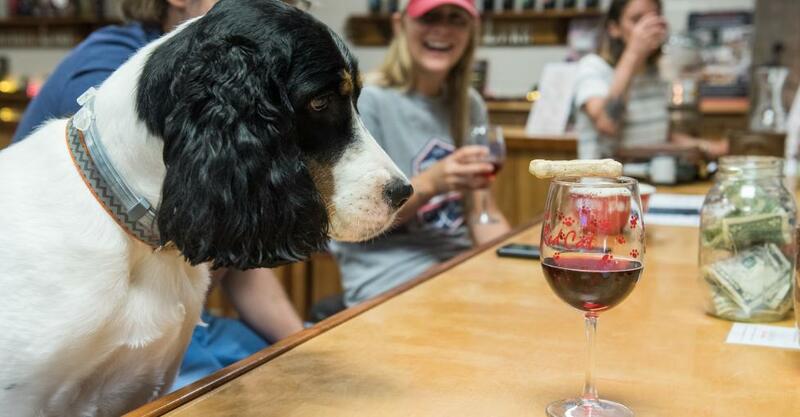 Part of the Trail, Americana Winery hosts an annual event called “Woofstock” to taste wine while hanging with your four-legged family member. Mountain Horse Farm – Their “Doggie Hotel” allows your pet to enjoy a spacious, private suite while you spend the night in one of their luxurious rooms or tipis. Fitting to the rest of the property, each doggie suite looks like a small, horse stall, complete with Dutch doors. Phoebe’s K9 Resort – Located in Seneca Falls, this boarding facility offers half- and full-day doggy daycare for when your pet needs a vacation of their own. Staybridge Suites – Pets weighing less than 80 pounds are welcome to spend the night at this Corning hotel. 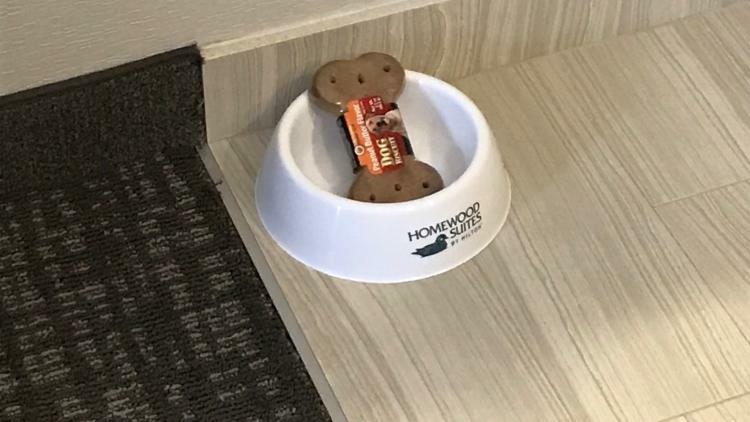 Homewood Suites – This newly renovated property in Ithaca offers special amenities upon check-in, including a water dish and tasty treat. Now that’s hosPETality. Heritage Village of the Southern Finger Lakes – Take a self-guided tour of the historic village with your pup as you explore buildings and shops dating back to the 1700s. Pets are only allowed during individual visits, not during events. Sampson State Park – Each year the park hosts the Wine Country Circuit Dog Show, one of the largest outdoor dog shows in that circuit. Ward O’Hara Agricultural Museum – Fido (on-leash) can step back in time to the turn of the century, picturing what life was like as a working farm dog living on the family homestead. Owasco Paddles – In Emerson Park on Owasco Lake, the whole family can rent canoes, kayaks and paddleboards. Even your furry friend can join in – doggie life vests of all sizes are available!